I like the almost sepia coloured tones of this one Michael. Yes, apart from the natural aging of the photo, I didn’t change the tone. Yeah, you have to look beyond the steep staircase and realize what daily life is like out there. Great angle! I love this shot. 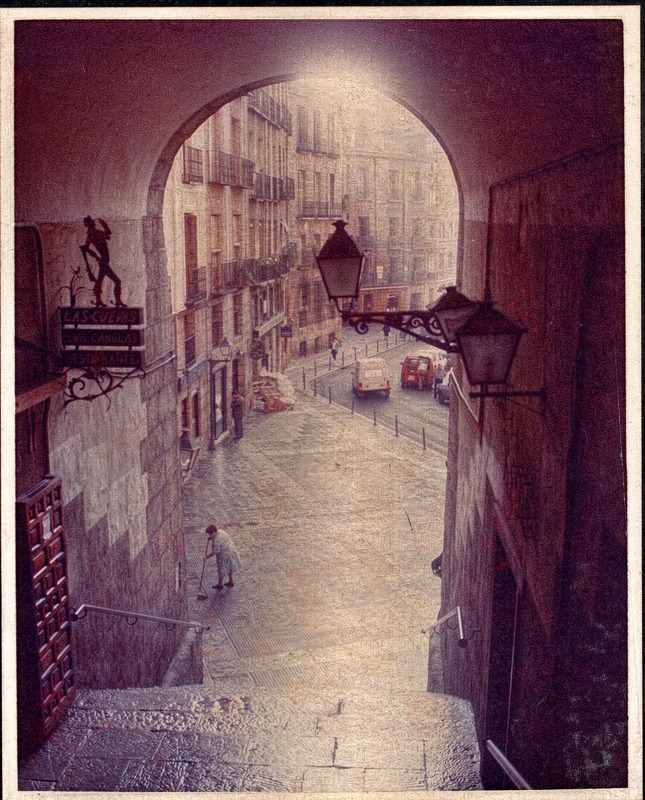 Looks like one of the doorways at Plaza Mayor … there’s a feel that of life continuing down through the ages.